What's been happening?! Well, a LOT. That's why I've disappeared! Lots of exciting things happening to y little corner of the world! But lemme share with you one fun one. 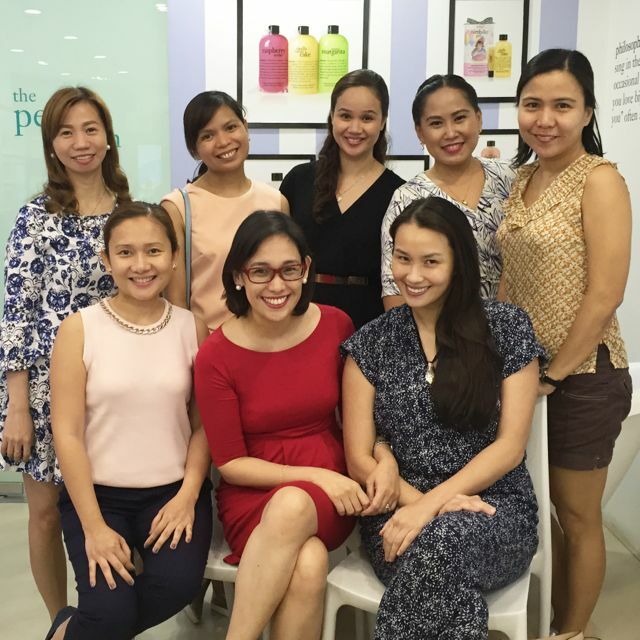 Together with skincare brand Philosophy, I threw a little beauty party for my friends recently. But first, naloka ako sa "well-known beauty maven" sa invitation. As in hahahahaha! Thanks, Philosophy, for calling me that even though I'm not exactly Miss Universe! Far from it! But, because of my current skincare regimen, I have the best skin I've ever had in all my 38 years. 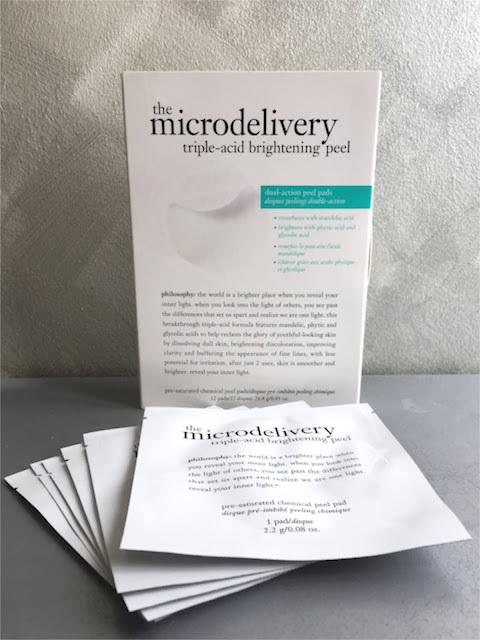 So, let me share with you what Philosophy products are making my skin look amazing, then I'll give you a peek at my little skincare party, and then I'll invite you to the next Philosophy pretty party! I only started using Philosophy this summer. 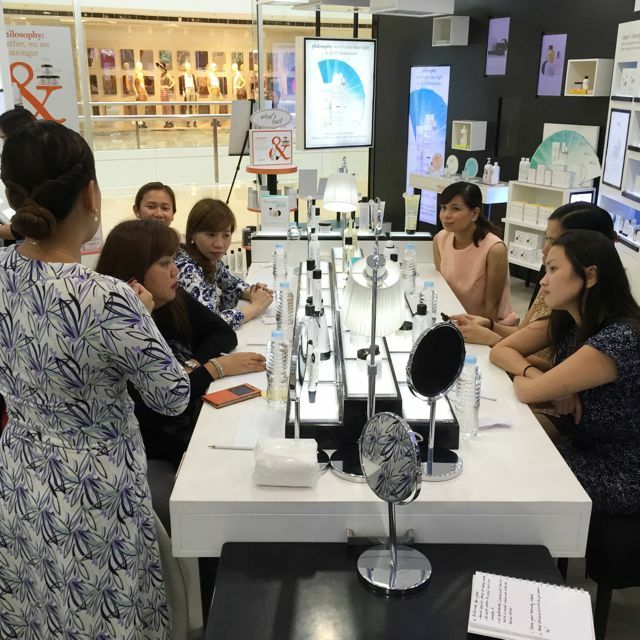 As many of my blog readers know, I had been using and loving Shiseido's Ibuki skincare line. Now, Ibuki is designed for people in their 20s but it had worked for me anyway. Unfortunately, at the start of this year, hindi na yata nakayanan ng Ibuki ang almost-40-year-old skin ko. So I began using a drugstore brand touted for its regenerating abilities. Unfortunately again for me, the only thing it regenerated on me are pimples!!! This is kinda sticky and it stings a little since it's a chemical peel. But it really adds a glow! I'll do another review of this, too, next month! Then because I have dark acne spots and freckles (also known as sun damage! ), I added a brightening line. Within two weeks, my spots started lightening up! Because the spots situation is being managed, I started using this last week. 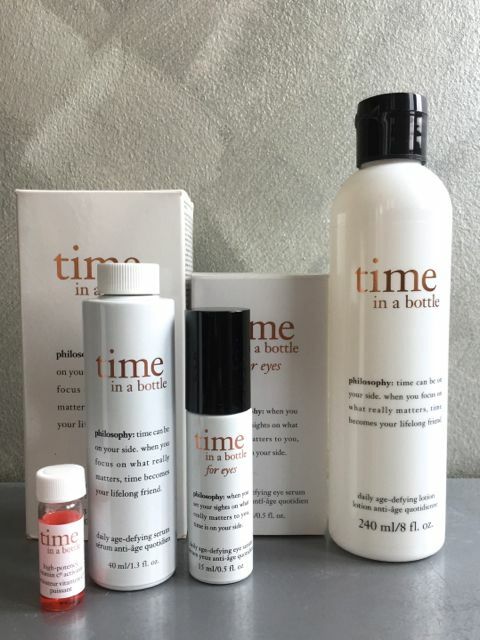 It's the anti-aging line of Philosophy and I can see changes in my skin! Reviews soon! Oh, I'm really planning to blog regularly now! Kahit once a week man lang, or photos man lang! I miss my readers! These are my friends right after their facials. Walang makeup yan!!! 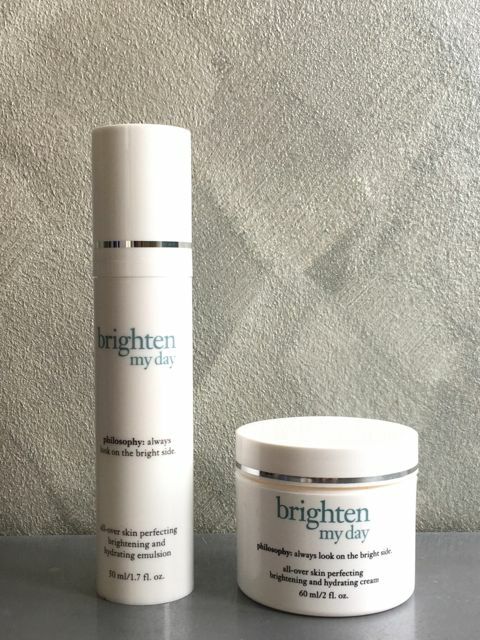 Everyone had a real glow after their Philosophy facial! (Standing, from left) Anne, Kabbie; Philosophy's Barbs Aguirre-Miravalles and Tin Conde; Claire, (sitting, from left) Tricia, me, and Maan. Because she left for Baguio as soon as her facial was done, Pinky didn't get to join the class photo. But here's her after-facial photo where all all she's wearing is lipstick!!! 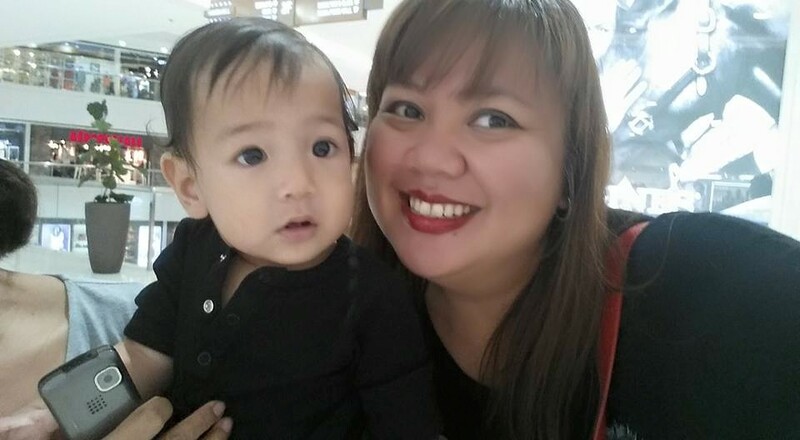 She did a selfie with my bunso, Piero. Parehas silang flawless! 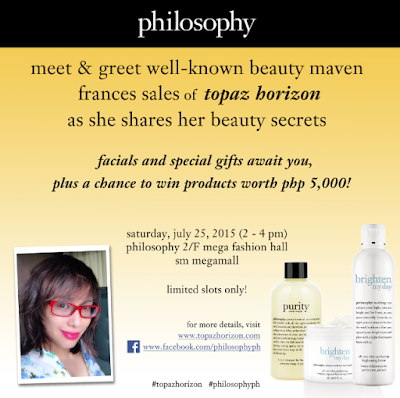 Join my next Topaz Horizon x Philosophy skincare workshop! 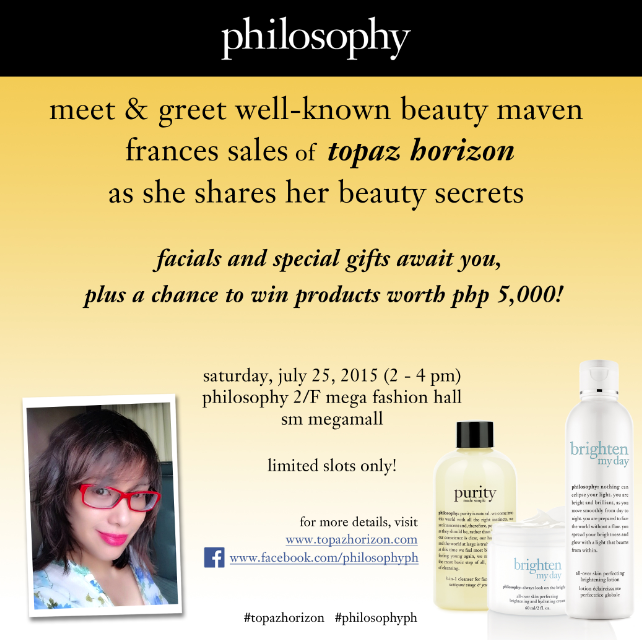 I'm inviting my Topaz Horizon Loyal Readers to join me as we learn skincare tips, get treated to a fabulous facial, and enjoy discounted shopping at the next #TopazHorizonxPhilosophy skincare workshop! 1. Like the Philosophy Facebook page. 2. Like the Topaz Horizon Facebook page (although I'm sure you already do!). 3. 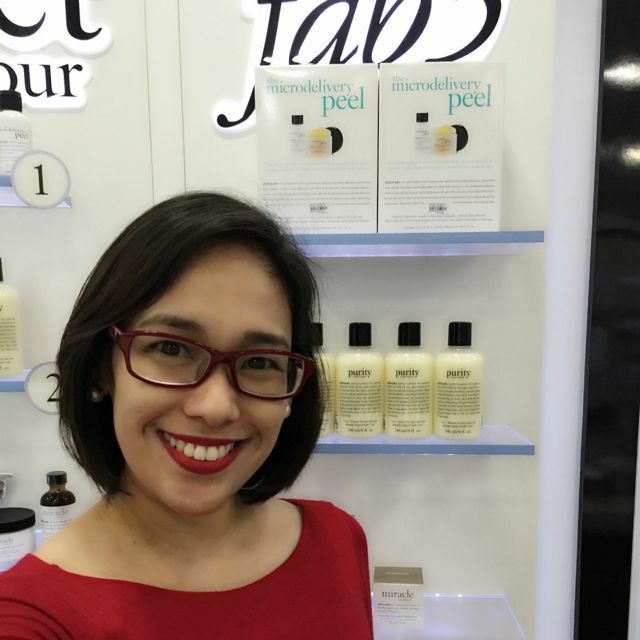 Post a photo of yourself on your own Facebook account and share your favorite skincare secret! Share the beauty tips so we can all be beautiful! 4. Tag Philosophy and Topaz Horizon so I can see your entries. 5. You can also leave the link in the comments below if you like but I think enough na that you tag Topaz Horizon. Lalabas yun sa notifications ko. 2. Post a selfie and share your favorite skincare secret! Share the beauty tips so we can all be beautiful! 3. Use these hashtags: #TopazHorizonxPhilosophy and #TopazLearningWorkshop. 4. Tag me (@francesasales) so I can see your entries. 5. You can also leave the link in the comments below if you like but I think enough na that you tag me and use the hashtags. Lalabas yun sa notifications ko. You only need to do either the FB or the IG. Don't do all kasi naguguluhan ako! Contest ends on September 5. I announce the winners at 6pm that day. Okay. Game? Game! Good luck!